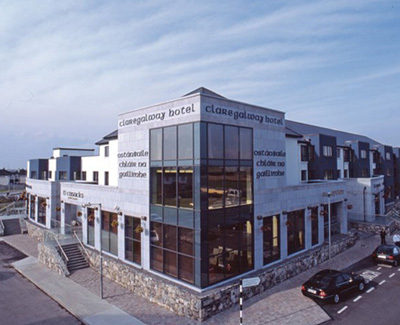 Claregalway Hotel is perfect for a relaxing Galway city break. Just a few minutes from Galway city centre by car, Claregalway Hotel has everything you need for a perfect hotel stay including a great Bar and restaurant and fabulous fully equipped Leisure Club & Spa. Tí Cusack?s Cafe Bar and Grill serves a fine combination of contemporary food with an Italian twist. At night the bar becomes a lively spot where locals and guests enjoy the atmosphere, especially on Friday and Saturday nights when there's live entertainment.